The video is so random, very GaGa. Lady GaGa has also recorded two tracks with Mark Ronson. The 'Just Dance' singer - who was in London last week to support the Pussycat Dolls on tour and promote her album 'The Fame' - spent some time in the studio with Ronson, can’t wait to hear them! A source said: "They worked on a couple of tracks which have a vintage feel." The 22-year-old former burlesque dancer has also revealed she is launching her own fashion range to help youngsters recreate her daring outfits. Lady GaGa - who repeatedly braved the cold UK temperatures in a variety of skimpy outfits, including a PVC corset and hotpants - said: "I can't wait to do my own line. It's definitely something I want to do in the next year as I do have my own style. I'm already talking to my boy Akon about it." Singer-and-producer Akon recently defended the singer's flesh-flashing outfits. He said: "People dissed her because of the way she dresses, but she's hot. Everyone wants to look like her. I love GaGa she's so different and daring. 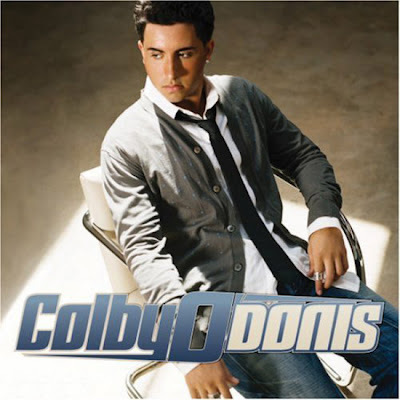 Colby O’donis is also a Konvict artist who in my opinion has not been promoted as much as Lady Gaga, so here are a few Colby tracks and check out What You Got Spanish acoustic version video below he’s amazing.